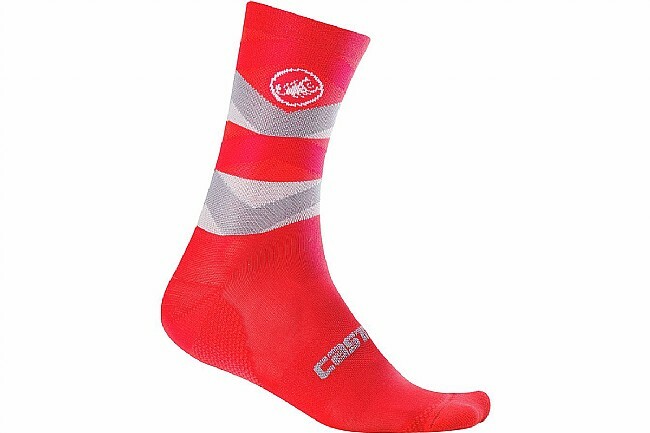 Castelli's Men's Fatto 12 Sock is lightweight yet warm, made of Primaloft® and polypropylene yarns for breathable insulation. Moisture-wicking properties help keep feet dry. Terry-cloth under the forefoot enhances comfort and warmth. The mid-height 4.7-inch cuff yields plenty of ankle coverage without overdoing it. Warm and soft Primaloft® and polypropylene composition.